Last October, Poland’s opposition Law and Justice Party won the election with 37.6% of the vote, which was enough for it to govern alone. Law and Justice is a conservative Eurosceptic party led by Jaroslaw Kaczynski. Law and Justice has very strong support in poorer, rural areas. When I was in Poland, in all of my meetings, there was unprecedented rejection to joining the euro. EVERY single meeting was the same — the general view was that if Poland joined the euro, Brussels would destroy their economy. There were even large demonstrations against the euro. 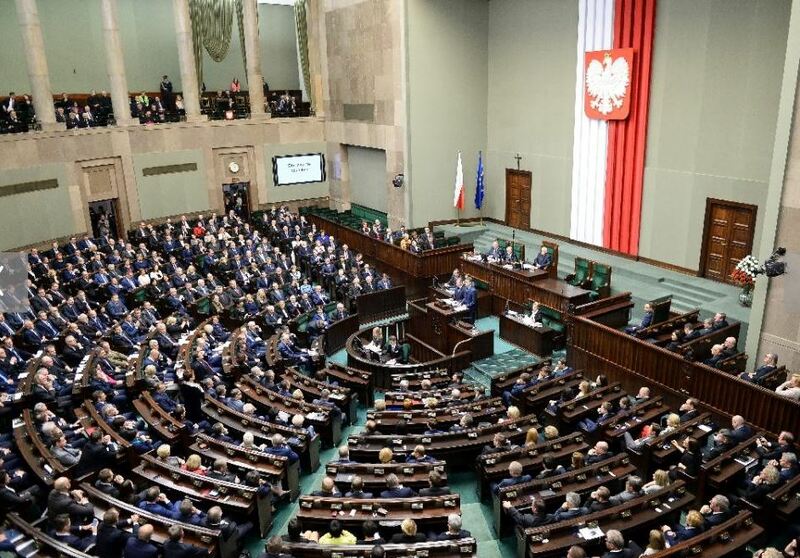 Poland’s Law and Justice conservative government took control of the state media last week after new legislation gave them the power to directly appoint the heads of public broadcasters. Parliament introduced this measure, despite EU concern and condemnation from rights watchdogs. The move was directed at ensuring that the press would not be pro-euro. The European Union’s executive dictatorship announced on Sunday that it would discuss the state of the rule of law in Poland. During this initial process, the Commission will collect information, and then with prejudice assess that these measures are a systemic threat to the rule of law. This is only because it is anti-euro. They have rigged elections, intimidated the press, and shut down democratic processes throughout Europe to further their agenda. When someone fights back, they call it a democratic violation.